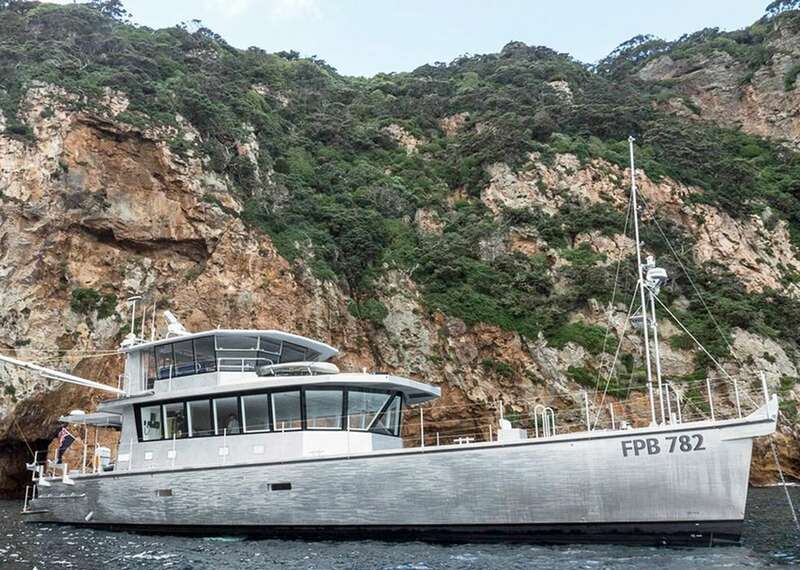 GREY WOLF is a 24m (78-foot) explorer yacht built by Circa Marine in New Zealand and delivered in 2017. 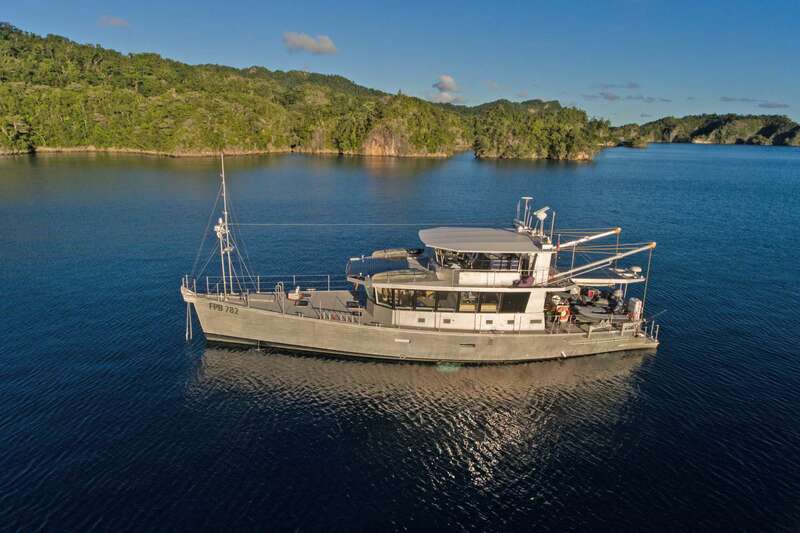 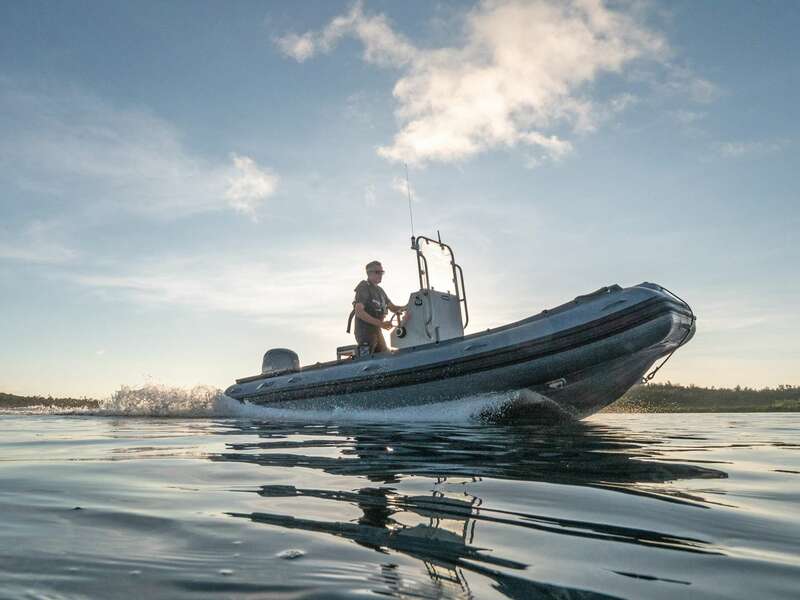 She is able to accommodate up to six guests in three cabins and has an attentive crew of three. 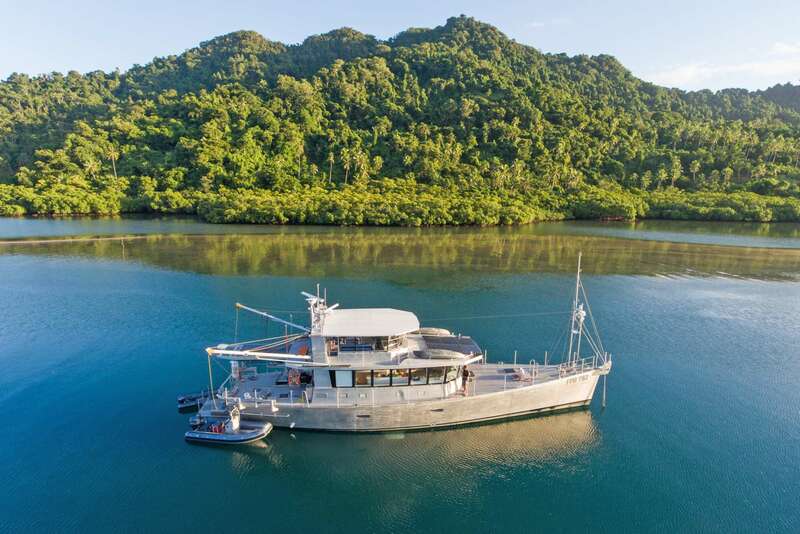 The exterior of M/Y GREY WOLF has an exposed, brushed aluminium finish which lends her a rustic look that belies her cutting-edge technology and comfortable contemporary surroundings within. 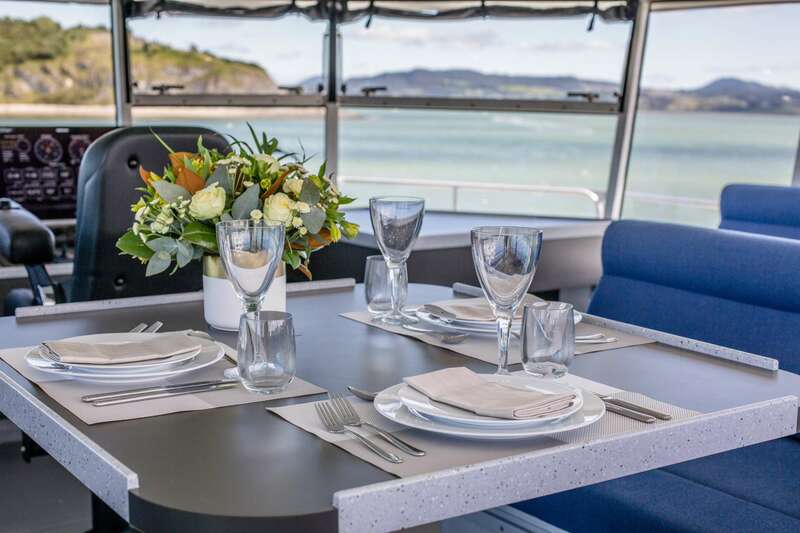 The main deck aft provides a sheltered cockpit for alfresco dining and outdoor lounging once the tenders have been launched using the Davit crane. 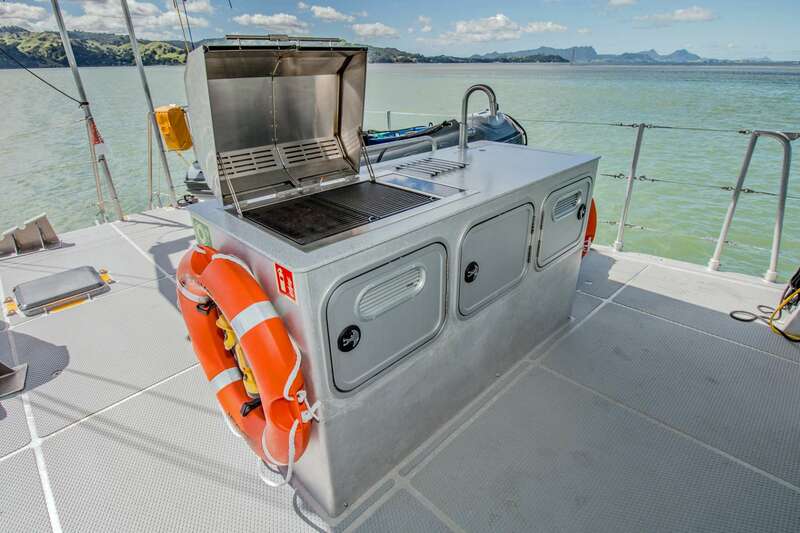 The area has an outdoor barbeque with a sink for refreshments. 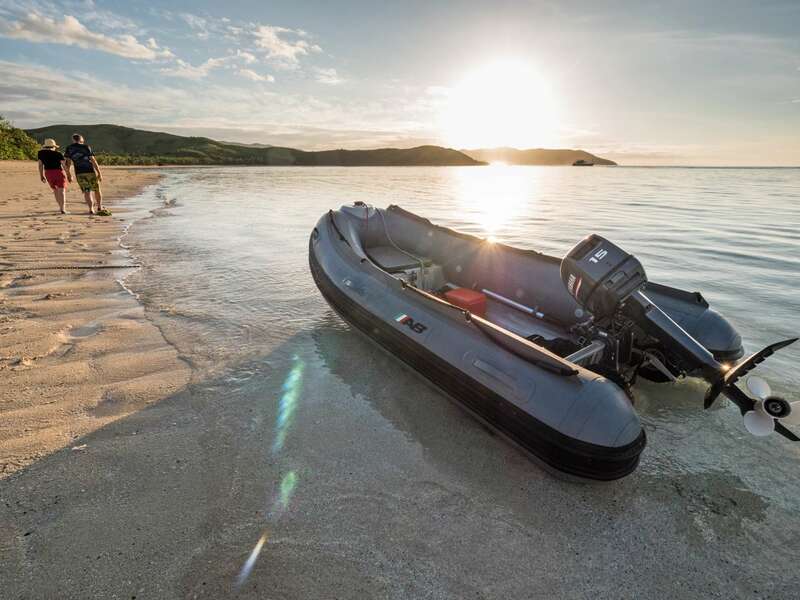 Access is granted to the swim platform, where guests have a place to sunbathe, embark onto the tender or dip into the sea. 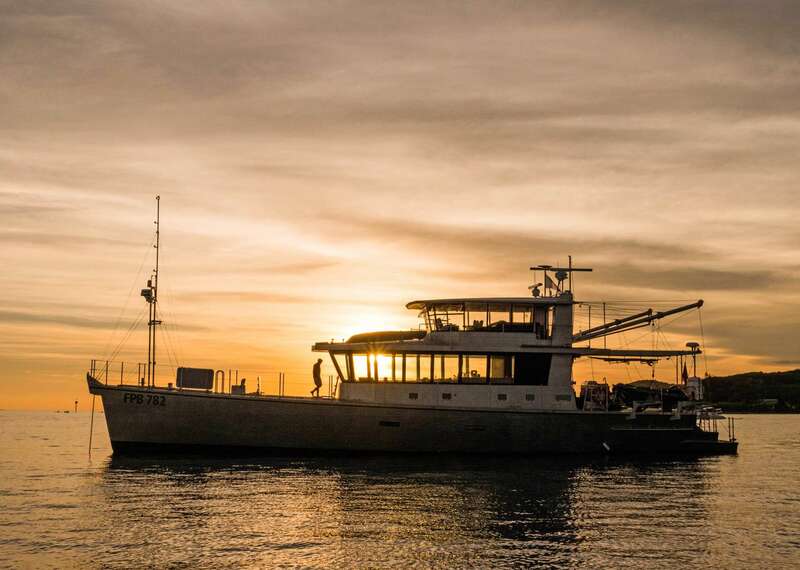 The foredeck is a spacious sun-exposed area that can be used for hosting quay-side events. 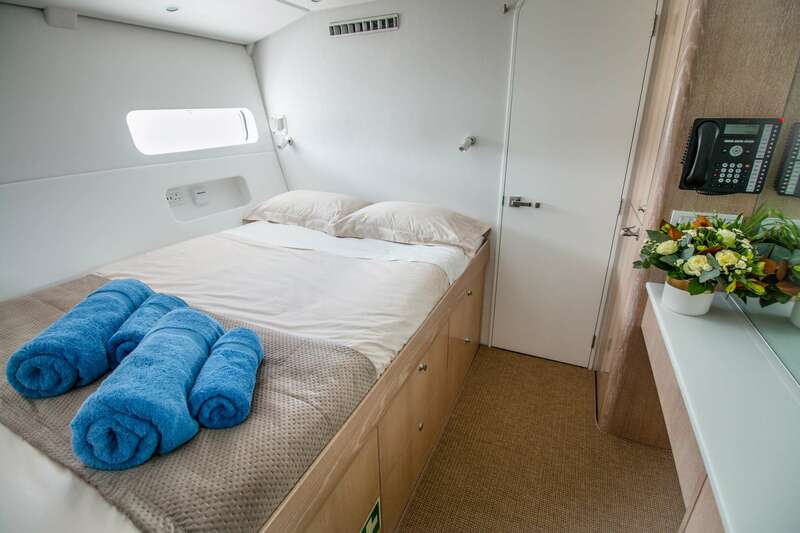 It is the main sunbathing area on board and can also be used for exercise and observation. 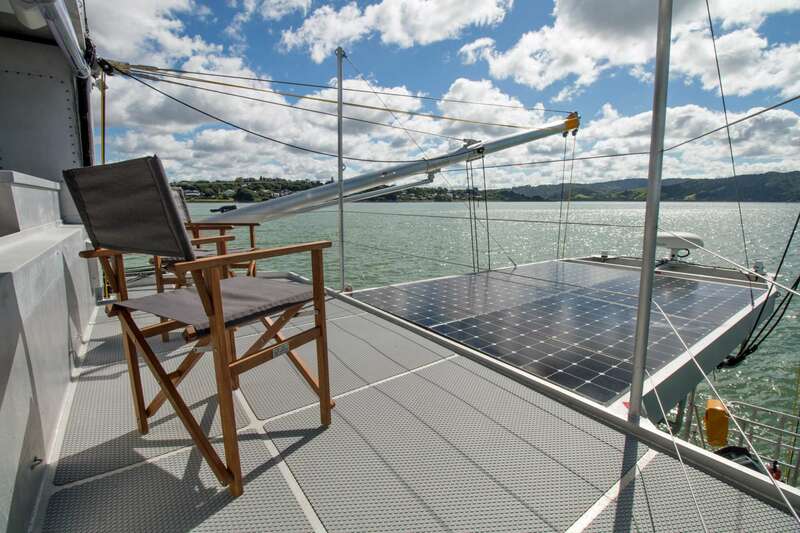 On the upper deck, the area in front of the bridge is used for storing kayaks and is fitted with solar panels for less reliance on the fuel tanks. 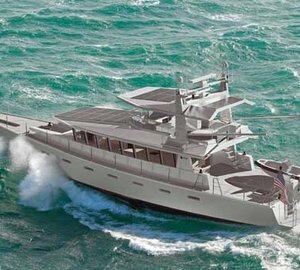 Another solar panel section can be found on the upper deck aft, behind the upper observation area. 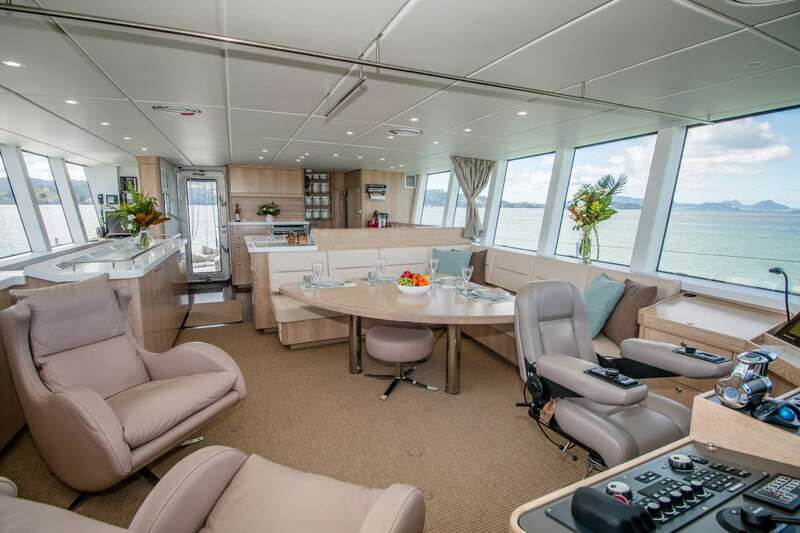 The main deck enjoys an abundance of natural lighting from the surrounding windows, and a corner sofa follows the port side of the room before creating a separation between the forward lounge and formal dining area and the galley to the aft. 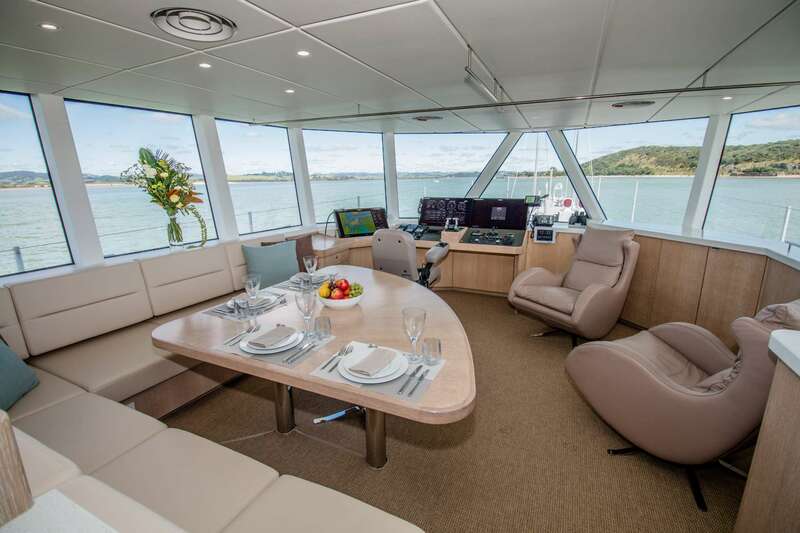 Two armchairs are also placed in the forward area and can be moved to be used with the triangular dining table. 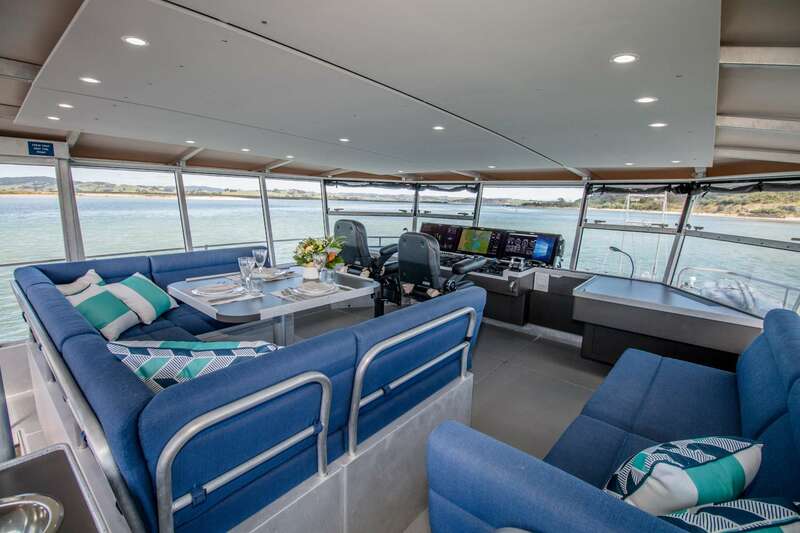 The flybridge places the helm station forward and leaves the area behind for a large square table where the group can dine together seated on the U-shaped sofa while taking in the elevated views through the surrounding windows. 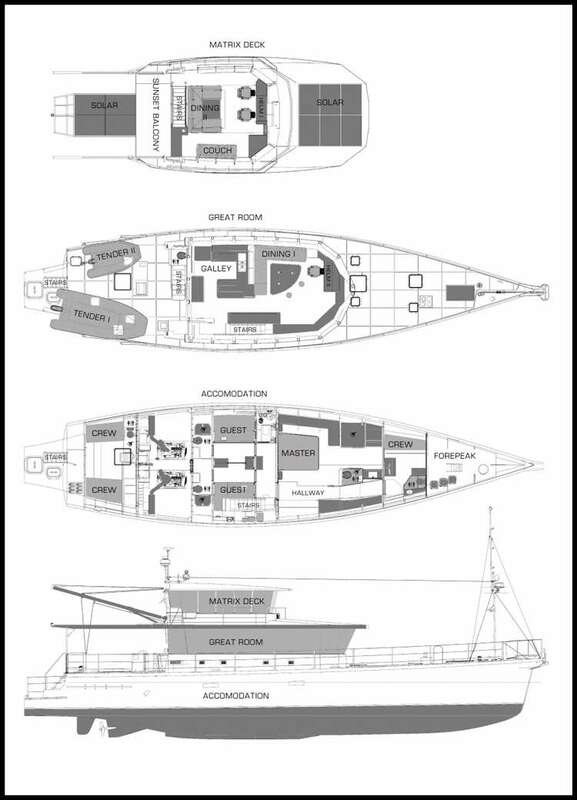 Additional seating can be found along the starboard sofa. 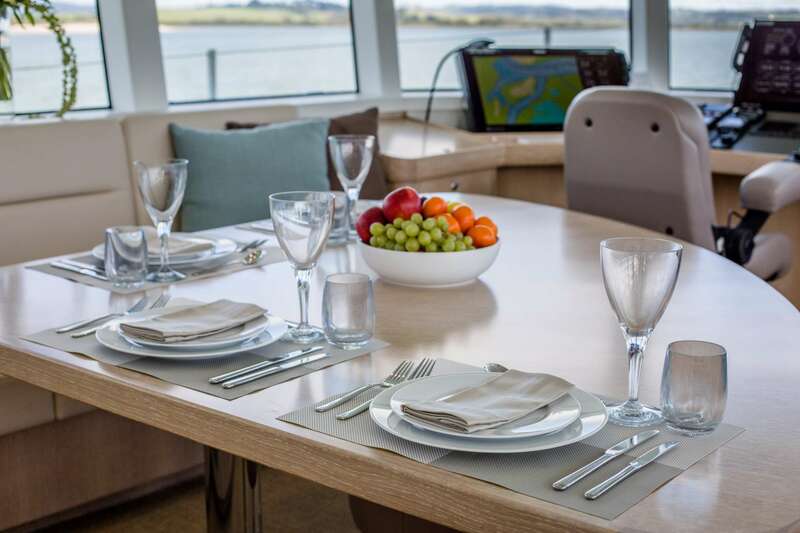 An aft starboard sink provides refreshments for guests relaxing upstairs. 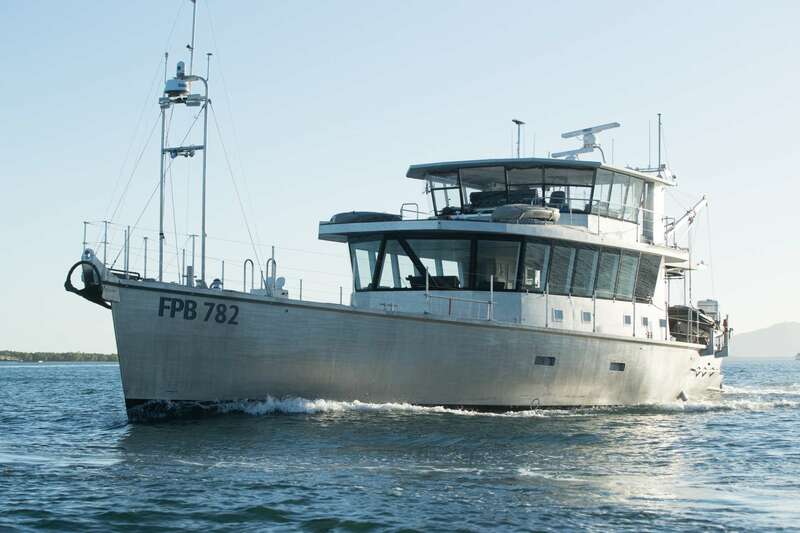 Her engines provide a top speed of 11 knots, a cruising speed of 10 knots and a range of 3,800 nautical miles. 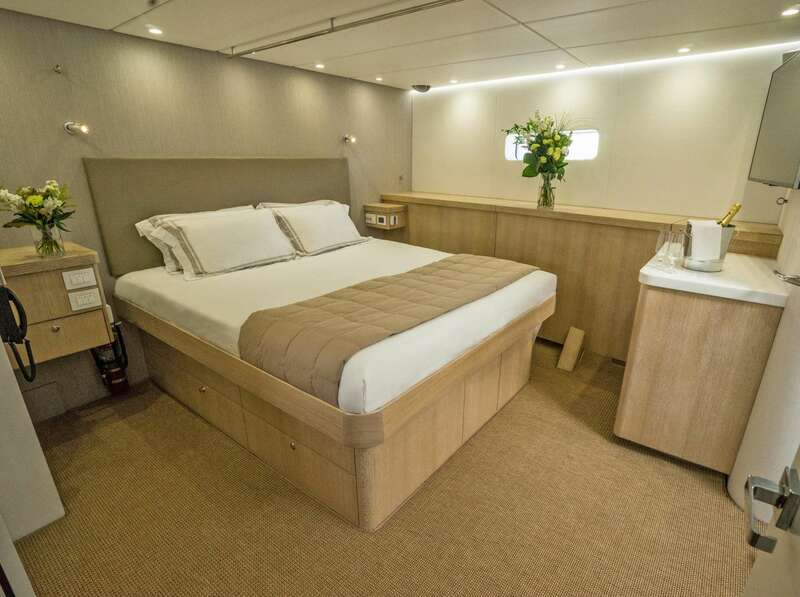 The accommodation sleeps a maximum of 6-8 guests across 3 generous en-suite cabins: 1 Master suite and 2 double cabins. 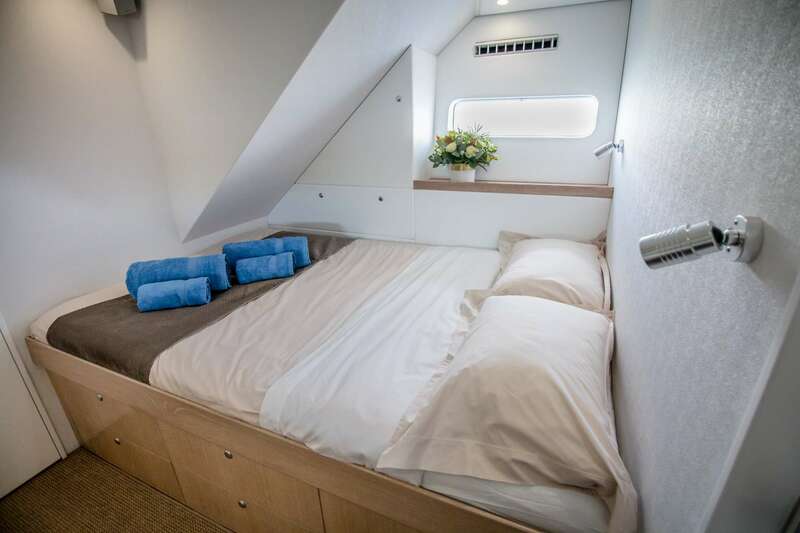 The Master king-size bed can be split into two twins for groups of more than 6, and has ample wardrobe space as well as a widescreen TV and brightly-lit en-suite bathroom. 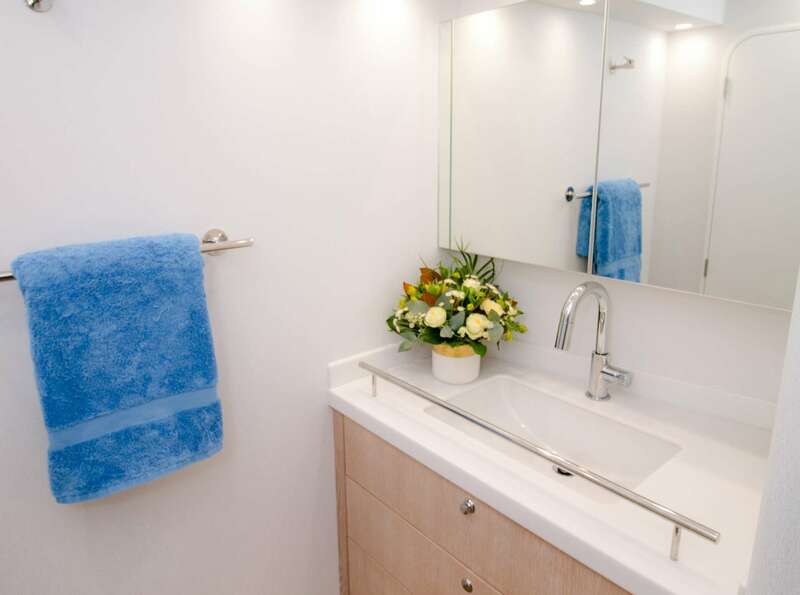 ~ The double cabins both receive plenty of natural light and also have modern and bright en-suite facilities.